Also known as Photochemotherapy, PUVA is an acronym; P standing for a drug called Psoralen, U for ultra, V for violet, and A for the kind of ultraviolet radiation that is used in the therapy. UVA is a long wave radiation measuring between 320 and 400 nanometers in the UV spectrum. Psoralen is a chemical we source from plants that absorb UVA radiation for use in their food cycle. In the presence of radiation, Psoralen binds on to the cell DNA and slows down cell replication. 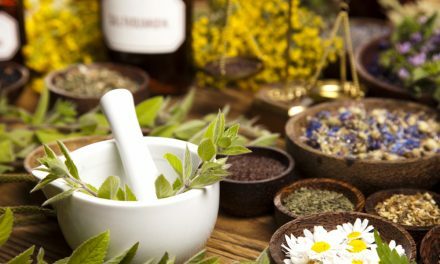 This property of Psoralen is used in PUVA therapy to treat many skin diseases. In Psoriasis, due to a dysfunctional immune system, skin cells multiply rapidly and form crusty silvery scales appearing as reddish lesions over the skin surface. PUVA combines an oral drug with external radiation to control skin cell replication and slow down psoriasis. That’s how we get the term photochemotherapy. What Role Does PUVA Play in Treating Psoriasis? Psoriasis being an immunodeficiency disease causes abnormal growth of skin cells resulting in the skin becoming rough, reddish, and scaly in appearance. The condition causes much pain and discomfort. PUVA therapy has the potential of slowing down cell growth. This stops psoriasis in its tracks, allowing drugs to do the healing. Are There Different Ways of Administering PUVA Therapy? Psoralen is given orally and radiation therapy follows an hour later. Another method is to immerse the patient in a bath filled with diluted medicated water for around twenty minutes, followed by radiation therapy. Psoralen once imbibed by the body makes the skin sensitive enough to receive light in small doses over extended sessions. What Are the Pros and Cons of PUVA Therapy? The major benefit from PUVA therapy is that radiation can be localized to specific areas of the skin. Also, Psoralen that makes the skin sensitive to light gets activated only on exposure of the skin to radiation. This controls any toxic side effect relating to the drug’s presence in the body. Besides, Psoralen therapy affects only the area exposed to radiation, unlike other systemic drugs that spread all over the body. This is helpful in reducing the overall risk of triggering skin cancer. Research confirms the effectiveness of Psoralen combined with radiation therapy in combating psoriasis. The disadvantage of PUVA treatment is that it can’t be restricted to one session and requires supervised medical attention covering multiple sessions over a longer duration. PUVA does not cure the underlying problem; it only prevents the condition from worsening. Therefore, one can’t stop the treatment midway after any noticeable improvement. How Is PUVA Given to Psoriasis Patients? First Psoralen is taken orally as a pill, through injections or by way of an intravenous drip. At least an hour has to lapse before Psoralen makes the skin receptive to radiation. The Psoralen intake is measured according to the weight of the patient. The degree of skin pigmentation plays a crucial role in deciding how much radiation the skin can absorb. Radiation therapy can be prolonged if the patient’s skin is darker. 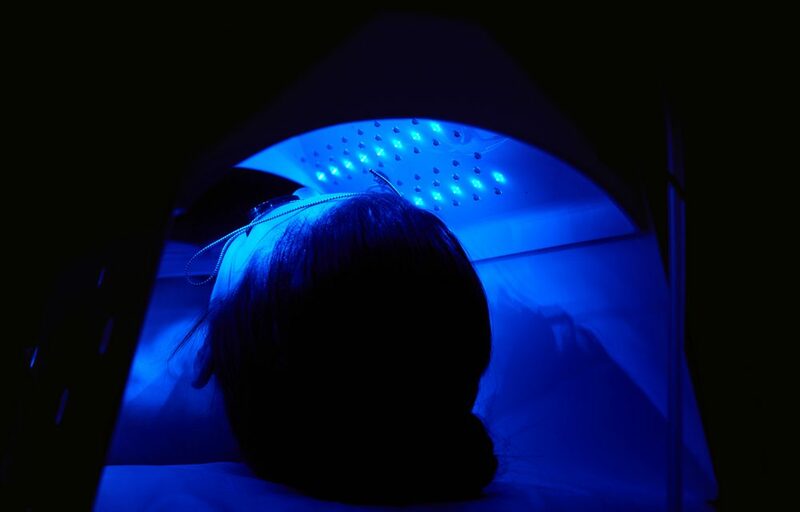 The patient is encased in a metallic box fitted with fluorescent lights measuring 48 inches that are positioned vertically. A light meter is programmed to deliver just the right dose of radiation before shutting down. What Is the Average Duration of the PUVA Treatment? Around 15 sessions are required before psoriasis affected skin shows notable improvement. It takes at least two days for the skin-burn to subside and heal following radiation exposure. By assessing the skin’s pigmentation status, the physician determines if the radiation dosage can be safely hiked as each session progresses. On completion of 30 sessions of Photochemotherapy, a decision is taken whether or not to continue further therapy. If the patient does not respond positively, the treatment is discontinued. If a visible improvement is noted, the physician may decide to continue sessions (in a limited way, with limited exposure) to maximize the benefit. The physician will always be mindful of the total radiation consumed in PUVA therapy to avoid triggering skin cancers. What Precautions Are Advised During the PUVA Therapy? Advice the doctor and clinical staff regarding medications being taken and eye problems, if any. Cosmetics, ointments, and creams are to be avoided completely during PUVA treatment. Meticulously adhere to session timings; never miss an appointment. A uniform gap must be maintained from the point of taking the systemic drug to the moment of radiation exposure. Ideally, allow a gap of two hours between a meal and the time the drug is administered. Smoking and alcohol are strictly prohibited (or at least minimized substantially) before, during, and after PUVA treatment to maximize the benefits. Avoid direct exposure to sunlight during the entire period of PUVA treatment. The genital areas are shielded in men to avoid the risk of testicular cancer. Women of childbearing age are advised to follow contraception. Pregnant women are advised against Photochemotherapy to shield the gestating baby. A broad-spectrum sunblock is applied to face and hands and other areas that are not targeted during PUVA. Special goggles are provided to shield the eyes from radiation during PUVA. During treatment days and non-treatment days, patients are advised to wear wrap-around anti-UV sunglasses till nightfall every day. Perspex tinted glasses can be used when indoors. The body needs to be fully covered with hats, long-sleeved shirts, trousers, skirts, socks, shoes, and gloves when moving outdoors. Uncovered skin must be shielded with sunscreen. What Are the Short-Term or Long-Term Side Effects of PUVA Therapy? 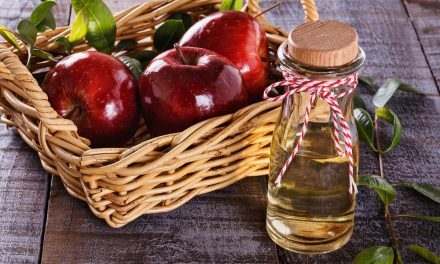 Burning and itching sensation over the affected skin, recurring headaches, and nauseous feelings are the short-term effects largely induced by Psoralen intake. The long-term effects are photo-aging of the skin, a spotted freckle-like appearance, increased sensitivity of the skin to daylight, and the greater risk of acquiring skin cancers like melanoma. Wearing protective glasses may be advised as a precaution against developing a cataract. How Safe Is PUVA Therapy? Can You Die From PUVA? PUVA is recommended mostly in cases where psoriasis is severe, and not when the skin condition is responding well to other treatments. PUVA is safe and effective in treating extreme skin conditions that do not respond to normal drugs and topical treatments. There is no reported instance of a patient dying due to PUVA radiation exposure. Sufficient care is taken to limit the dose and the duration of UV rays used in PUVA. There is a reasonable gap between two radiation sessions to ensure the body gets sufficient time to recover and heal. Every session is followed by lab tests that monitor important health parameters. The photo therapist gets the go-ahead only if the patient is otherwise in good health and is capable of undergoing further therapy. How Is Vitamin D Correlated to PUVA Therapy? Vitamin D plays a significant role in the healthy development of the body’s` immune system and supports human cells at various stages in their life cycles. Clinical research has revealed that Vitamin D levels are extremely low in psoriasis patients. This could be one of the reasons for such patients acquiring immunodeficiency disorders. The vitamin is so important that it is manufactured within the body through limited exposure to sunlight. It follows that a higher intake of supplemental Vitamin D not only restores the immune system back to good health but also helps the body maximize the benefits of phototherapy. Vitamin D is best absorbed through natural foods such as milk and dairy products, and through salmon and egg yolks. Vitamin D can also be taken as Vitamin D3 supplements in safe doses not exceeding 4000 IU per day during treatment. The PUVA therapist normally checks the patient’s blood levels of Vitamin D and takes corrective action before calibrating radiation exposure. PUVA has proven to be effective and successful in treating moderate to severe case of psoriasis, especially severe plaque psoriasis. What makes the therapy unique is the combination of Psoralen (taken orally) and limited low-level exposure of the skin to UV radiation in a controlled environment (meaning a hospital). The treatment works on very low doses of UV radiation precisely because Psoralen makes the skin sensitive enough to receive the light. The benefits of PUVA therapy far outweigh the risks posed by short-term side effects. Though a long-term side effect such as cancer cannot be ruled out entirely, physicians take adequate precautions to ensure excessive radiation exposure is avoided. Ultimately, it isn’t PUVA alone that gets the job done; you need to combine PUVA with regular medication, vitamin D supplementation, and major lifestyle changes including diet and exercise to make the most of this technological lifesaver. PreviousChronic Inflammatory Conditions: What Is Psoriatic Arthritis? NextSkin Inflammation Treatment: Do Steroids Help With Psoriasis? 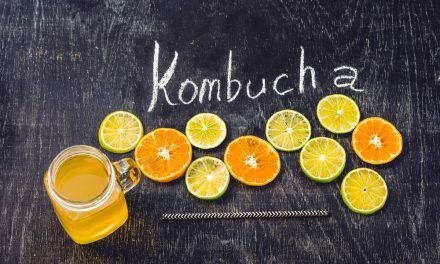 Kombucha For Psoriasis: Does It Help?